Is Third-Party the Better Way to Deliver Pizza? There are two things restaurant operators want to know when it comes to delivery: Can I make any money at this and what are the real costs? 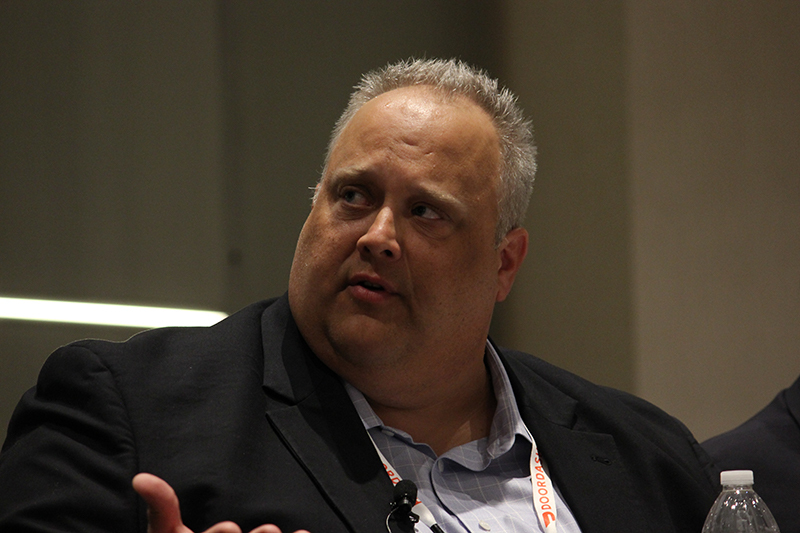 The first question is still under discussion, but Spencer Manke, CFO of the ADF Restaurant Group, a franchisee of Pizza Hut, did break down the costs of a pizza delivery during the first of two franchise breakout session at the Food On Demand Conference in Chicago April 1. John Berg of Monroe Moxness Berg was the moderator. Figured into the cost per delivery are the delivery driver’s wages, mileage reimbursement, insurance, uniform, delivery bags and car toppers. For his New York area stores, the minimum wage is $15, there is no tip credit and benefits run about 15 percent, he said. Each driver can do two deliveries an hour, so figuring in salary/benefits, mileage and insurance, a delivery runs about $11.50. The delivery fee in New York, however, was just raised to $4.99. So basically, each delivery costs the company $6.51. Customers, he added, aren’t willing to pay more than $5 for delivery. But delivery is an important component in the customer’s expectation around pizza. Third-party is currently used for overflow, but so far the results have been that “they’re more efficient … and can make more deliveries per hour.” The pizza restaurant’s fee from the delivery service is $6.50 to $7.50 per delivery. There were some complaints in the beginning, he admits, so there are still factors to be considered in changing from the employee model. And even though the cost of delivery sounds daunting in an industry known for slim margins, “delivery is not going away,” said panel member Rob Grimes, CEO of the International Food and Beverage Technology Association. The cost and problem of managing drivers may be moot in a few years, he said, as we’ll be seeing autonomous cars doing deliveries.